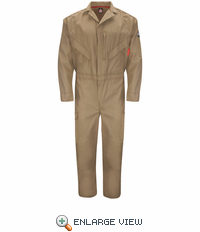 The iQ Endurance Coverall doesn't just perform on the job, it continues to perform wear after wear, no matter how many times you wash it. 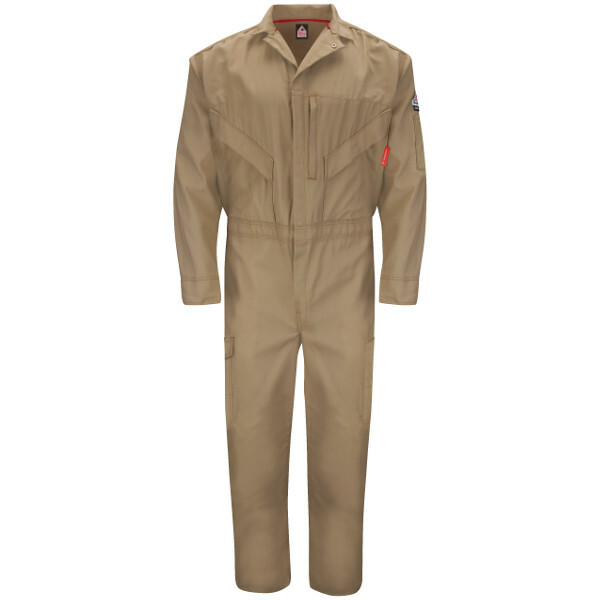 This premium coverall features a two-way concealed Nomex taped brass breakaway front zipper and concealed snap at neck zipper for complete FR protection. Eleven total pockets, including a right front bag pocket with cell phone interior pocket, allow for maximum storage and convenience throughout the day. 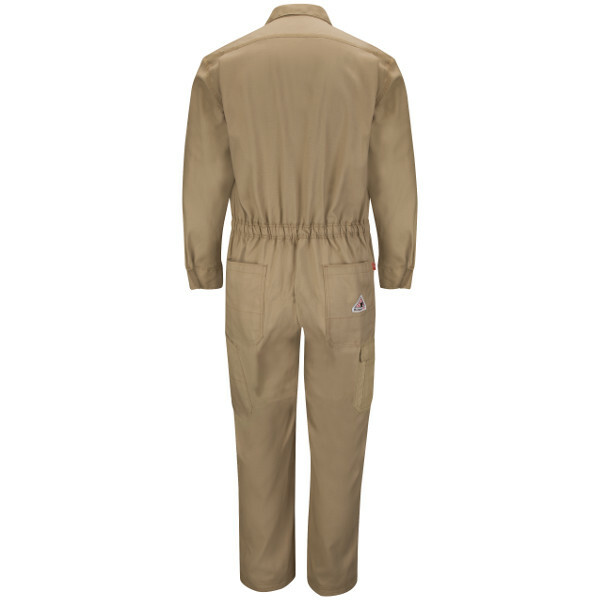 Side vent openings, elastic back waist, and a deeppleated back yoke all come together to help you move, bend and work better.